Full Disclosure: I was provided with an EZPZ Mixes set to try out and review for this post. All opinions are my own and your views may differ. Mom's Gone Bronson is not responsible for prize fulfilment, nor are any participating bloggers. 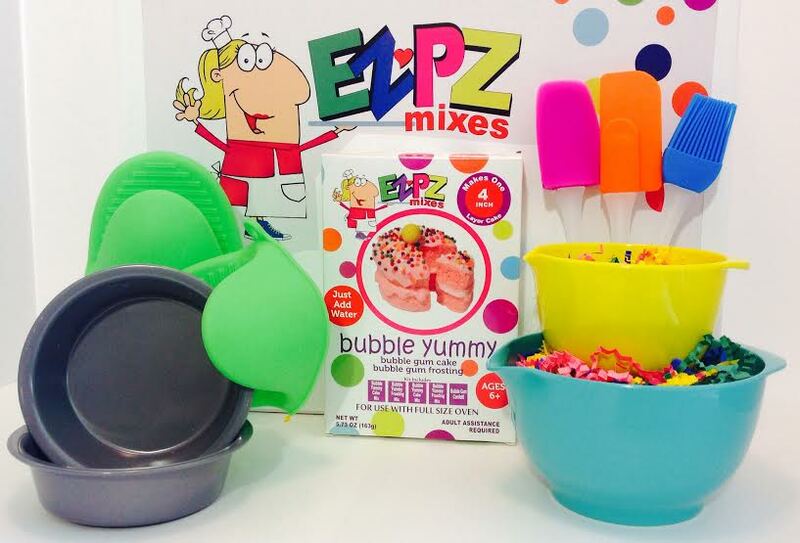 EZPZ Mixes: Bubble Yummy Cake Mix and Baking Tools! Here is something I am sure your children who love to be in the kitchen with you - and the ones who haven't discovered it yet - are going to adore! 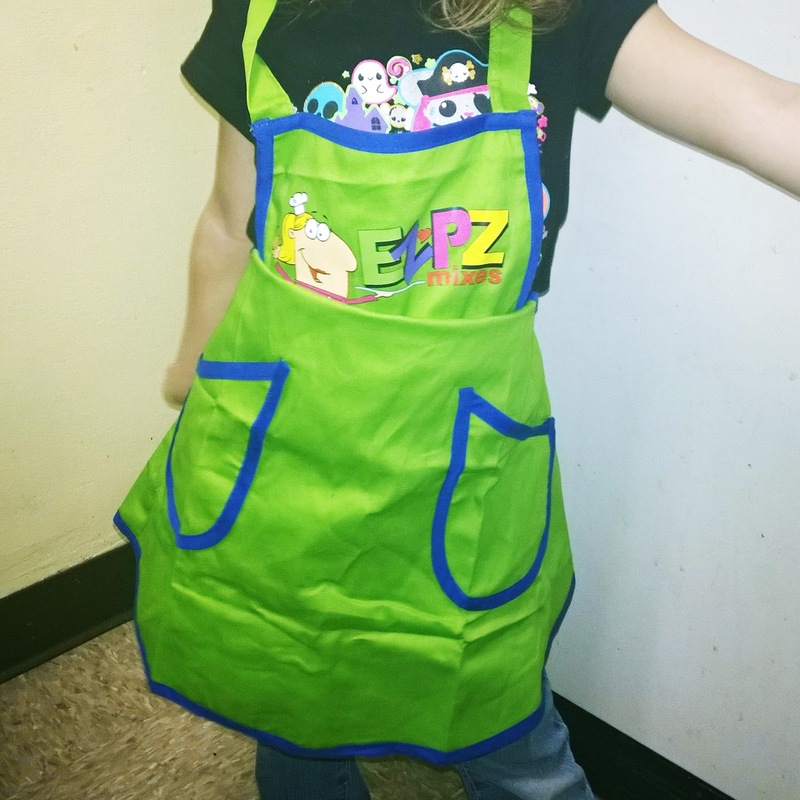 These EZPZ Mixes give children the opportunity to learn to bake with real equipment, but in a smaller, more child-friendly size, which you then help them place in a real oven to finish their experience. 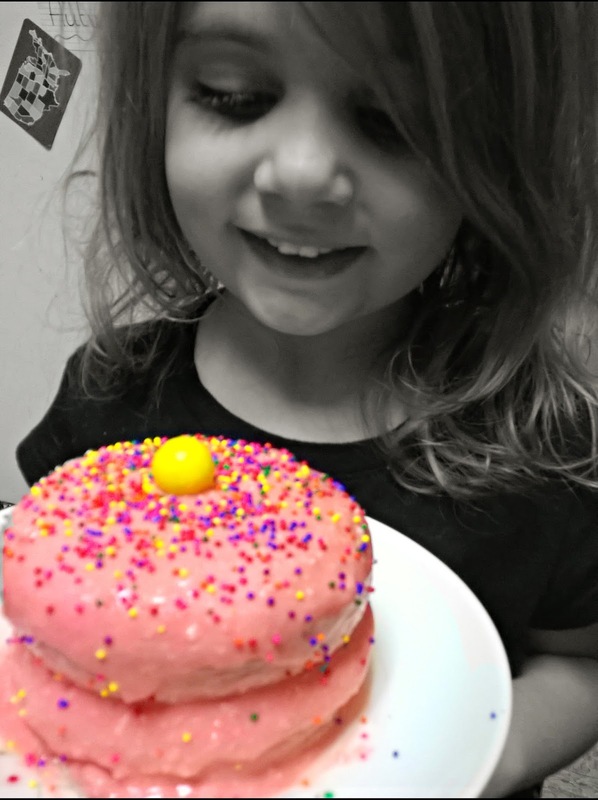 My daughter LOVES to help me in the kitchen and so this was a great opportunity for her to have a little freedom to make something on her own (with my supervision, of course). We popped on her new child-sized pinny/apron and unwrapped the smaller mixing bowls, which are just the right size for little fingers and not at all too heavy like a regular one might tend to be. 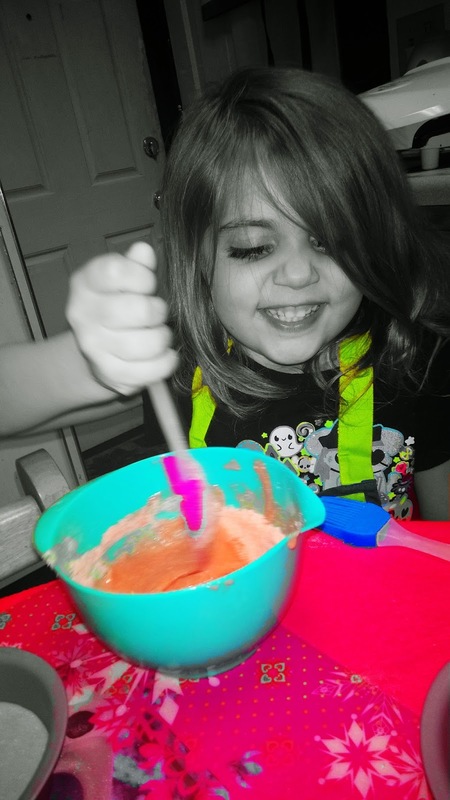 Those, plus baking pans and mixing tools, and oven mitts and measuring spoons all combined to make everything as fun, colorful and easy to use as possible for my daughter. The cake mix, itself, is simple to use - you just have to add water to the pre-formed packets of mix, so the process doesn't confuse anybody along the way, yet the end result is a real treat! I opened the packets one-by-one when instructed and my daughter did the rest. She added the water and stirred the ingredients, she poured the cake batter into the mini-pans and she walked them to the oven with me, although I placed them in, and removed them from, the oven for her! Once baked, the little rounds were set out to cool and we cleaned up in the mean-time. There wasn't very much mess and so this didn't take more than a couple of minutes, but once we were done (and when the cakes were cool enough) Autumn, my daughter, started mixing up the icing/frosting. Within a minute all the icing was ready- you might want to wait a little while to frost if your cakes aren't yet cool, but not to mix up your icing too far ahead of when you actually need it or else it won't work as well when you get there! Autumn had zero problems with icing her cake and placing both layers on top of one another. She finished it off with a bubblegum cake topper and some colorful sprinkle! The cake itself was about 4 inches around, and a few inches high, which is more than enough to half between 2 people for a treat, or to indulge in the whole thing, if you want to let the child bake and keep it to themselves, without feeling overly guilty about it! Overall, the experience has been great! The baking equipment is of good, sturdy quality and well made with the children in mind, and the concept is simple and easy to understand. My daughter very-much enjoyed herself and the little bit of independence this kit gave her was a great learning experience and would make a cookery lesson at-home very easy to incorporate on a regular basis without getting overloaded with a few dozen random cupcakes or a layer cake that will never get finished! I am very impressed with EZPZ Mixes, and would definitely pick up more in the future, which is why they are making an appearance in Mom's Gone Bronson's Holiday Gift Guide for 2015! You can follow our list of goodies on Twitter this year, as always, with the hashtag #MGBHGG! Why not head on over to EZPZ Mixes website and see all of the delightful flavors and styles of cakes available, today - and if you can't wait, why not scroll down to the bottom of this post and ENTER THE GIVEAWAY!! All you have to do, to be in with a chance of winning, is enter the rafflecopter, below! Entrants must be 18 or over, or have parent's permission, must reside in the U.S and provide a genuine email address so that we can email you if you win! 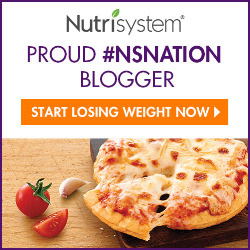 We do not use your email address for anything other than to notify the winner. We never keep or sell any entrants details or email addresses. You may tweet, daily for extra entries and you may enter as many or as few times as you are allowed on the form, it is up to you! This giveaway will run from November 5th until November 19th and the winner will be notified within 24 hours. Once notified, the winner will have 48 hours to claim their prize. If no prize is claimed then the winner will forfeit their prize and a new winner shall be chosen - this is our standard practice so that we can communicate our winners with our companies, or brands in a good and timely fashion. 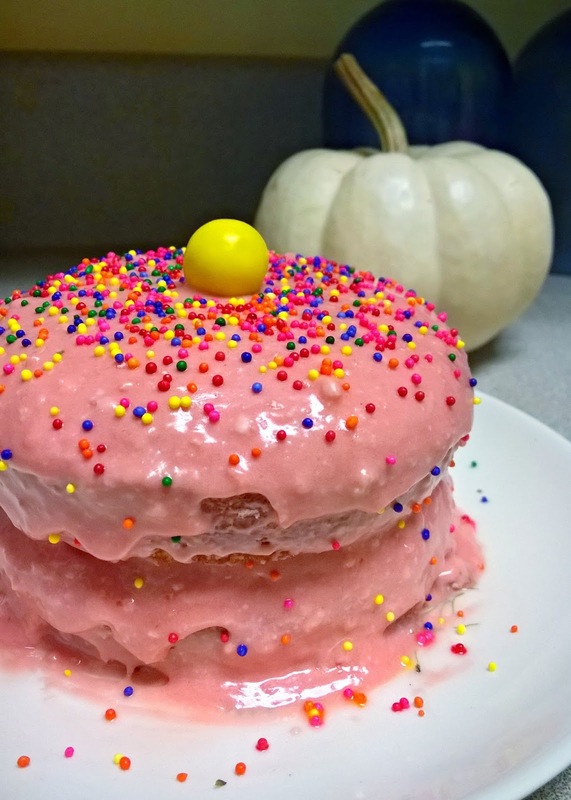 All that said, I hope you have fun baking this season, and with your little-one, too! First of all I love the name of this company - so fun!! And their mixes sound AMAZING! I am dying to try Wacky Watermelon! Yum! The Sweet Sweet Summer kit looks great. My girls would have so much fun with this! The Mini cupcakes look so fun! Actually everything on their site looks fun! My daughter would love this. EZPZ Mixes are too stinkin' adorable! My 8yo LOVES to bake so these would be perfect for her. I think she would like the Banana Split cake mix. Love this idea. My daughters would have been all over it at that age. They always wanted to help in the kitchen! 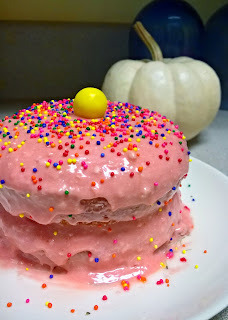 Actually, although I am positive all kids would love this and have a blast making their own cakes--in reality it is the perfect size for an adult female who can't bake to save her life (me) as a treat that can be eaten up in one or two sittings!! Miki, I actually very much agree!! I can't help myself at all, and these are a great size for that, and then some, you could probably cut one in half for 2 adult servings! And they taste great (my daughter allowed me a sliver lol).